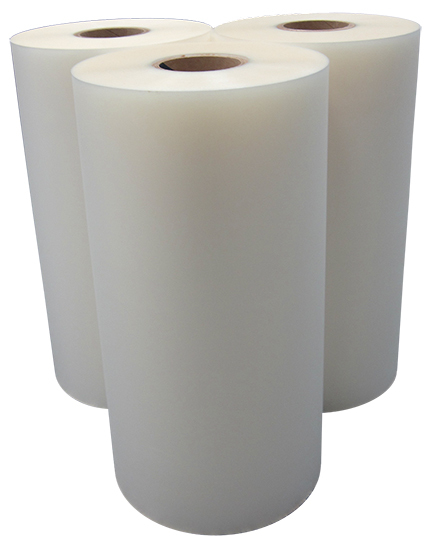 Categories: Diamond Hard Velvet Matte, Laminating Film Finishes & Characteristics, Laminating Films. Tags: laminating film, matte, soft touch, velvet. D&K’s proprietary Diamond Hard Velvet Matte™ laminating films feature a revolutionary top-coated matte surface that offers an unparalleled look and feel. These laminating films create a haze-free matte finish that will not distort graphics or shift colors. The matte finish also offers added scuff resistance with a soft velvet touch that is ideal for high end applications of all types. Diamond Hard Velvet Matte™ laminating films are especially suitable for book covers, business cards, folders, postcards, sales literature, and more. The United States Postal Service has approved D&K’s Diamond Hard Velvet Matte™ laminating films for use on postcards and other mailers. The soft velvet matte surface readily accepts postmarks and processes through automated sorting equipment. 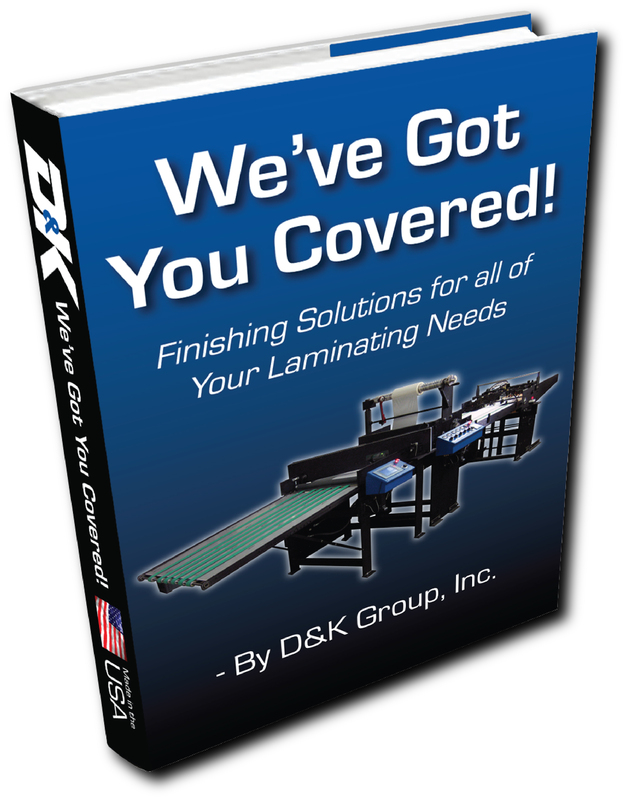 These laminating films are also compatible with many other secondary finishing processes including printing, UV spot coating, foil stamping, and more. 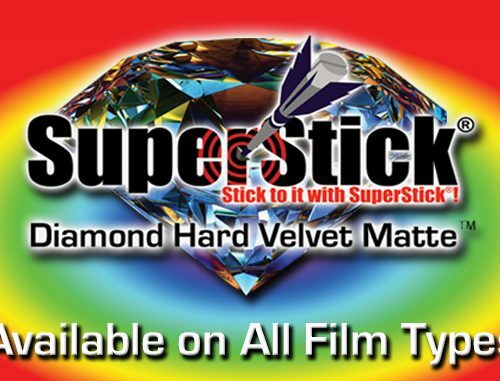 Diamond Hard Velvet Matte™ finish is offered on all types of laminating films including nylon (curl-free), polypropylene, and polyester. These films are available with a variety of D&K laminating adhesives including SuperStick® digital adhesive for digital print types. Special versions are also available with SuperStick® Indigo® adhesives specifically designed for laminating to difficult HP Indigo® digital output. 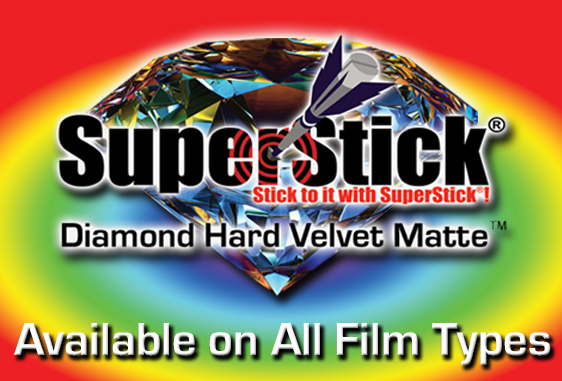 Contact D&K for a sample and you’ll surely see and feel the difference that Diamond Hard Velvet Matte™ makes.